Los Angeles, CA- The commercially popular, Turkish-built Ford Transit Connect is a thing of the past. Enter the 2014 Ford Transit Connect Wagon that is built in Valencia, Spain, which Ford has affectionately dubbed the “Unminivan”. The new Ford Transit Connect Wagon drives like a car, features the flexibility and versatility of a crossover or SUV, and possesses the ability to haul the payload of a pickup truck. The 2014-second generation Ford Transit Connect Wagon actually comes in two forms – a more utilitarian panel van, or the “Unminivan” Wagon. We’ll cover the wagon here, which is available in both a 5-passenger Short Wheelbase (SWB) and 7-passenger Long Wheelbase (LWB) configuration with third-row seating. Both the second and third row seats fold flat. The LWB version adds 15.8-inches to both the wheelbase and overall length, with the extension (8.9-inches) appearing in the side door area. The LWB models outweigh the SWB models by 349 pounds. The Transit Connect Wagon will consist of three trim levels: the base XL, a more upscale XLT model, and the top-of-the-line Titanium model is available with either a rear lift gate (non-power) or symmetrical, side-hinged double rear doors, with the exception of the Titanium models which only come with the lift gate. Two engine variants are available to power the Ford Transit Connect Wagon: a standard 2.5-liter, , DOHC, 16-valve inline four-cylinder with sequential multiport electronic fuel injection, that produces 169 horsepower at 5,250 rpm and 171 pound feet of torque at 4,800 rpm; or an optional 1.6-liter, EcoBoost, DOHC, 16-valve inline four-cylinder with twin independent variable camshaft timing, Direct Injection and turbocharging that delivers 178 horsepower at 5,250 rpm while developing 186 pound feet of torque at 2,500 rpm. Both engines mate to a 6F35 Six-speed automatic transmission with overdrive, that gears motive force to the front wheels. LWB models are only available with the 2.5-liter engine. Towing capacity is rated at 2,000 pounds when properly equipped with the $295 tow package. Maximum payload is 1,270 pounds. Suspension componentry consists of Independent MacPherson strut with a stabilizer bar up front, and a Twist-beam axle with a stabilizer bar in the rear. Braking chores are handled by power-assisted four-wheel front discs and rear drums with ABS. Steering is speed-sensitive EPAS – electric power assist steering. Rolling stock is made up of: 16-inch steel wheels with full composite wheel covers; 16-inch alloy wheels with locking lug nuts; or 17-inch alloy wheels with locking lug nuts, wrapped by Continental ContiPro Contact215/55 R16 mounted on 5-“can-opener”-spoke alloy wheels or Continental ContiProContact 215/50 R17 mounted on 5-hole/spoke alloy wheels. In terms of its visual appeal , the Ford Transit Connect Wagon serves up a completely new exterior styling with a distinct European flavor that reflects Ford’s current design DNA. It is long, low and sleek with pronounced flared wheel wells and soft-edge character lines all around. Outward visibility ideal with large open greenhouse glass area, featuring blacked-out ”B” and “C” pillars for a floating roof effect. During the press introduction, I was able to pilot Ford Transit Connect Wagons with both engine variants and both wheelbases. To begin with, I dove a Titanium model, 2.5-liter, 4-cylinder-powered LWB wagon through downtown L.A. traffic, up Pacific Coast Highway and over Topanga Canyon Road. 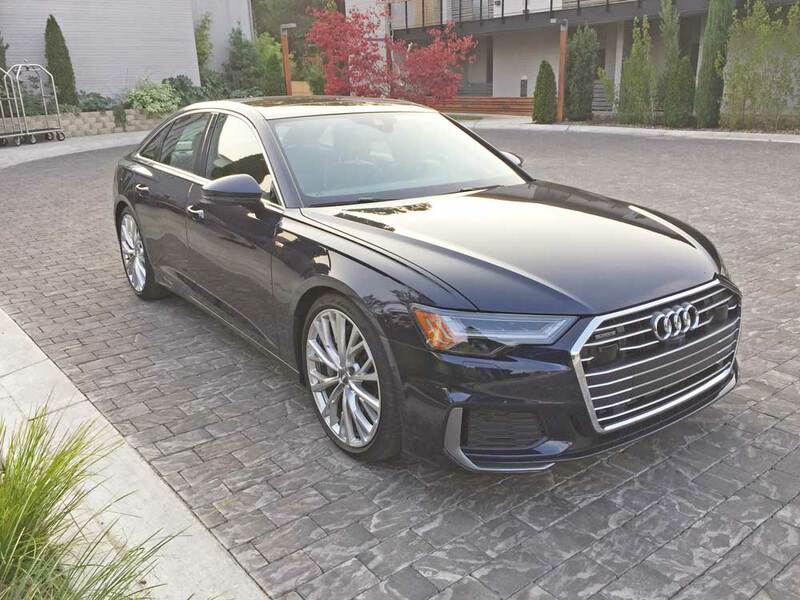 It wore a Silver metallic exterior finish and came with a beige interior and an MSRP of $29,000 topping off with extras estimated at $31,000 Option pricing was not available, nor was an actual Monroney. For the return leg, I drove an XLT trim, SWB model powered by the turbocharged 1.6-liter. 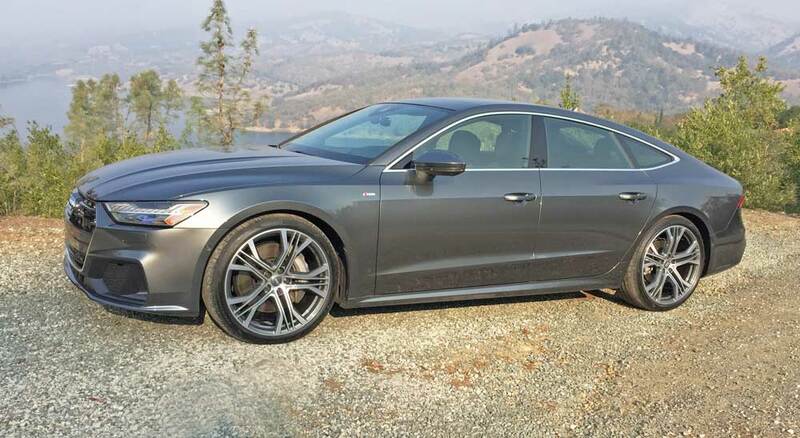 It sported a Burnished Glow exterior finish, which was complemented by s Black and Charcoal cloth interior, base priced at $24,525 and with an estimated final sticker of $26,500 – again no Monroney or option pricing was available at launch. SUMMARY: The 2014 Ford Transit Connect Wagon rides with the comfort of a car, with all the conveniences. It handles with the agility of a car as well, staying flat and stable over SoCal’s twisty mountain roads. Potholes and ruts posed no problems either with the Wagon’s compliant ride quality. In terms of engine performance, the 2.5-liter 4-cylinder did well with satisfactory response in handling the LWB Titanium model. The XLT SWB model with the1.6-liter turbocharged EcoBoost motor did considerably better with its added power and responsiveness. It was more fun to drive, especially on the narrow, curvy Sunset Boulevard through Beverly Hills, where it was a star. In addition to the outstanding outward visibility, the Ford Transit Connect Wagon provides plenty of head and legroom – even for a fellow 6’7” journalist attending the program. Headroom is 46.8-inches. The Transit Connect Wagon is based on Ford’s global C-1 platform, which is the basis for several other current Ford models. The Wagon’s versatility and flexibility is most impressive, with the LWB models providing 105 cubic feet of cargo space with the second and third row seats folded flat. This latest iteration of the Transit Connect is an ideal transport form for both family adventures and commercial activity. My personal favorite was the SWB with the turnbocharged,1.6-liter EcoBoost engine, which provided a more responsive, fun-to drive quality without sacrificing any of the Wagon’s versatility. As for it being an “Unminivan”, its makeup and categorization is really in the eyes of the beholder. The traditional minivan sliding side doors and varied seating configurations pretty much qualify it for minivan credentials, even though its actual size and form, not to mention affordability make it a desirable vehicle, whatever you choose to call it. Engine Type and Size: 1.6-liter EcoBoost, DOHC, 16-valve inline four-cylinder with twin independent variable camshaft / timing, Direct Injection and turbocharging. / 2.5-liter, DOHC, 16-valve inline four-cylinder with sequential multiport electronic fuel injection. Transmission: 6F35 Six-speed SelectShift automatic with overdrive. Suspension: Front – Independent MacPherson strut with stabilizer bar. Rear – Twist-beam with stabilizer bar. Brakes: Power-assisted four-wheel discs with ABS, Electronic Stability Control, Roll Stability Control, Electronic Emergency Brake Assist and Hill Start Assist. Tires: Continental ContiPro Contact215/55 R16 mounted on 5-can-opener-spoke alloy wheels / Continental ContiProContact 215/50 R17 mounted on 5-hole/spoke alloy wheels. Width: 84.1	inches with mirrors.